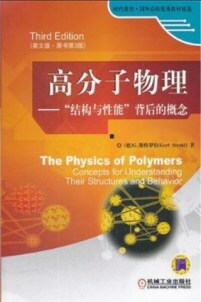 The Physics of Polymers, Concepts for Understanding Their Structures and Behavior. Condensed Matter Physics: Crystals, Liquids, Liquid Crystals, and Polymers. Physik kondensierter Materie. Kristalle, Flüssigkeiten, Flüssigkristalle und Polymere. G. ストローブル (著), 田口 健 (翻訳), 深尾 浩次 (翻訳). G.R. ストローブル (著), 深尾 浩次 (翻訳), 宮地 英紀 (翻訳), 宮本 嘉久 (翻訳), 林 久夫 (翻訳).